hongjun's Blog: How to make Samsung Pay work for SimplyGo? If you have been reading the mainstream media or the social media, it is likely that you would have heard of SimplyGo - an initiative by the Land Transport Authority (LTA), a partnership between LTA and TransitLink to enables commuters to use their credit or debit cards with contactless function for transport fare payments. Mobile devices linked to Mastercard i.e. 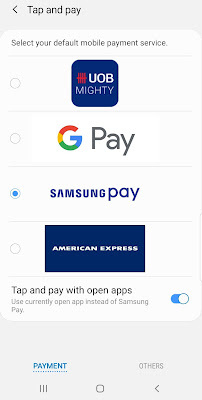 Apple Pay/ Fitbit Pay/ Google Pay/ Samsung Pay are also supported. The need for upfront top-ups is no longer required and your train and bus fares will be processed and charged to your credit or debit card bill. Visa is expected to be accepted only from the the second half of 2019 onwards. 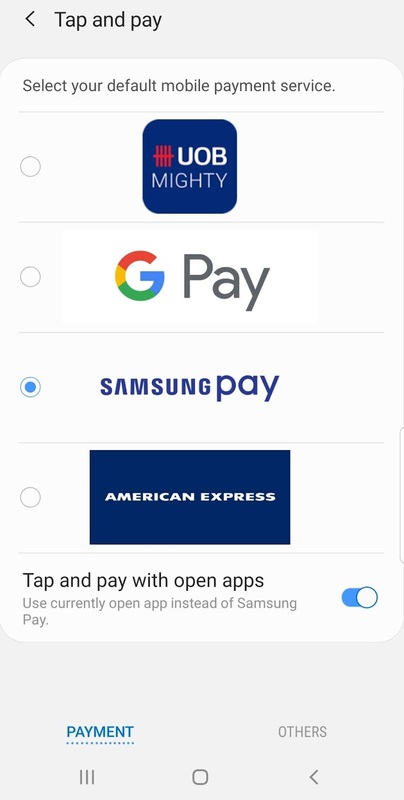 Add Mastercard to Samsung Pay as per usual. 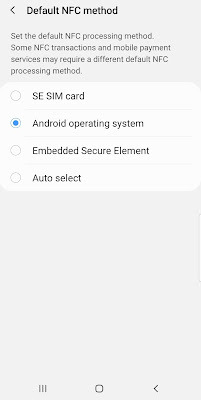 Set Default NFC method to "Android operating system". 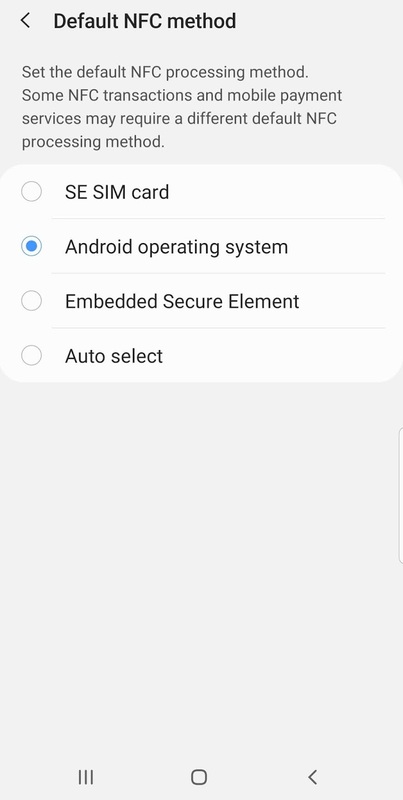 On the Apps screen, tap Settings > Connections > NFC and payment. Tap on the 3 dots on the top right corner then Default NFC method. Set "Samsung Pay" as the default mobile payment service. On the "NFC and payment" screen, tap on "Tap and pay". Make sure NFC is enabled. Make sure phone screen is OFF. For more information on the use of SimplyGo, please visit SimplyGo FAQ page.